‘The Dining Room’ restaurant & tearoom in the heart of Northampton. The Dining Room is situated in Northampton’s Cultural Quarter, just opposite Beckets Park. 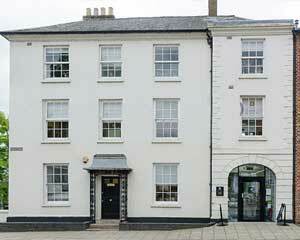 We are located within The Charles Rennie Mackintosh House at 78 Derngate. 78 Derngate is a multi award-winning visitor attraction offering an unforgettable day out in Northampton. It is the only house in England designed by Charles Rennie Mackintosh, it features light-filled art galleries, a stylish design shop and elegant spaces that can be hired for meetings, events and functions.